Sanders argued that Trump is the „most conservative president that we’ve ever had,” pointing to how the administration has reshaped the judicial system with a wide assortment of conservative judges. 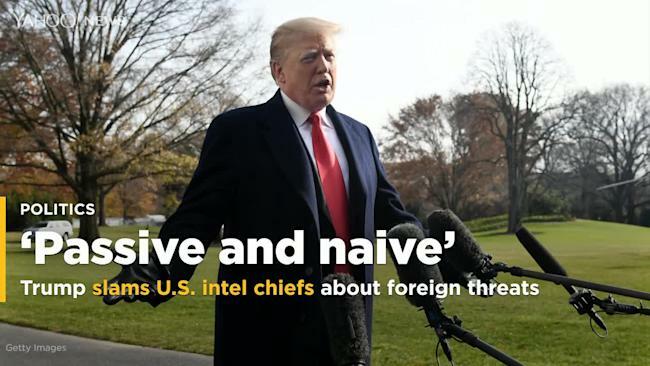 President Trump on Wednesday lashed out at his own intelligence chiefs a day after they gave a Senate committee assessments of foreign threats that radically differed from his own. On Tuesday, the directors of the CIA, the FBI, the National Security Agency and national intelligence testified publicly before the Senate Intelligence Committeethat China and Russia currently pose the biggest risks to the United States. Venezuela’s self-declared interim president, Juan Guaido, has been hit with a travel ban after the country’s chief prosecutor announced he would launch a criminal investigation into the congressional leader. The supreme court – stacked with members loyal to president Nicolas Maduro – blocked Mr Guaido from leaving the counrty and froze his bank accounts, but did not strip him of his legislative immunity. It came as Mr Guaido called on Venezuelans to stage a two-hour walkout from their homes and workplaces in protest at Mr Maduro’s stewardship of the country. The incumbent president has said he will not stand down and told Russia’s state-owned news agency RIA Novosti he was open to negotiations alongside mediators. Russia is a key ally, backing the Maduro government with loans and weapons. Mr Maduro has accused the US of instigating a coup against him after Donald Trump recognised Mr Guaido as the legitimate interim leader, prompting a string of other countries including Britain to follow suit. On Tuesday Washington announced fresh sanctions on Venezuela, targeting its state-run oil company PDVSA. Mr Maduro called the sanctions “criminal” and vowed to challenge the US in court. “With these measures, they intend to rob us,” he said. Violent street demonstrations erupted last week after Mr Guaido, during a huge opposition rally in Caracas, declared he had assumed presidential powers under the constitution and planned to hold fresh elections to end Mr Maduro’s “dictatorship”. Under Venezuela’s constitution, the head of the national assembly can take on the chief executive’s duties in a range of circumstances in which the presidency is vacated. The opposition argues Mr Maduro’s re-election last May was unfair. The 35-year-old Mr Guaido has re-invigorated the opposition movement by pushing for three immediate goals: to end Maduro’s “usurpation” of power; establish a transitional government; and hold a new presidential election. The UN human rights office believes security forces detained nearly 700 people in just one day of anti-government protests last week – the highest such tally in a single day in the country in at least 20 years. It says more than 40 people are believed to have been killed. Mr Maduro’s allies blame the opposition for the violence and deny the high death toll as well as reports that children were among those arrested. On Tuesday, Mr Maduro announced he would expand Venezuela’s civilian armed militia to two million members. NEW YORK (Reuters) – Oil prices rose on Wednesday, as U.S. government data that showed signs of tightening supply and investors remained concerned about supply disruptions following U.S. sanctions on Venezuela’s oil industry. 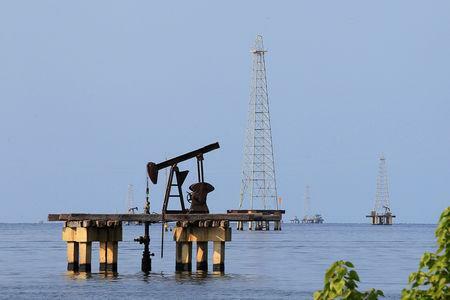 „The main risks for supply could come from a violent confrontation within the country, damaging the oil infrastructure,” analyst Carsten Menke at Julius Baer said. Russia reportedly made a secret offer to North Korea last year to dismantle its nuclear weapons programme in exchange for a nuclear power plant. According to the Washington Post, the deal was proposed last autumn as a potential solution to an ongoing diplomatic impasse between the US and North Korea over Pyongyang’s nuclear and missile arsenal. It has been viewed as a power play by Moscow to elevate its role in the regional peace negotiations about the Korean peninsula, but the chances of success for such a strategy have been met with scepticism by international policy analysts. The paper reported that under the proposed arrangement the Russian government would operate the power plant and transfer all byproducts back to Russia, with the aim of providing North Korea with a much-needed energy source while denying it the chance to use the plant to make weapons. Intelligence officials reportedly became aware of the Russian move in 2018, but it is not known how the US administration responded or whether the offer is still on the table. Russian officials made a secret proposal to North Korea last fall aimed at resolving deadlocked negotiations with the Trump administration over its nuclear weapons program. The US state department, White House, CIA, Office of the Director of National Intelligence and the Russian Embassy in Washington declined to comment on the report. “The Russians are very opportunistic when it comes to North Korea, and this is not the first time they’ve pursued an energy stake in Korea,” said Victor Cha, a former White House official who was last year considered as the nominee for US ambassador to South Korea. “Previous administrations have not welcomed these Russian overtures, but with Trump, you never know because he doesn’t adhere to traditional thinking,” Mr Cha told the Post. Russia appears keen for Kim Jong-un, North Korea’s leader, to pay a visit to Moscow, but he has so far not committed to doing so. The director briefed the National Assembly Intelligence Committee that a recent trip by senior North Korean official Kim Yong-chol to the White House had resulted in “a wide range of discussions in a favourable atmosphere,” reported the Korea Times. However, on Tuesday, America’s most senior intelligence chief contradicted Mr Trump’s optimistic prognosis for achieving a breakthrough in persuading Kim to give up his nuclear weapons programme.